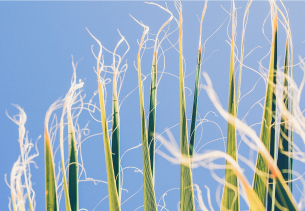 From our 21 plants strategically located in Argentina, Brazil and Uruguay, we process primary products, based on our customers’ needs, and supply our own factories and the mass consumer industry through the Cañuelas, Florencia, Multiharina, Adelia María, Letizia, Terminada, San Agustín and Pigüé brands. In the industrial segment we produce refined and ultra-refined 0, 00, 000 and 0000 flour, packed in 1-ton Big Bags, and 50 and 25-kilogram bags. They are manufactured with specially selected and stored wheat to ensure high quality during all the year. The leading position of Molino Cañuelas in the milling industry and the network of strategically located production plants help to maximize productivity and reduce costs. We were the first company in integrating the whole value chain, from the moment the wheat is sown to the flour delivery, based on our customer’s needs. 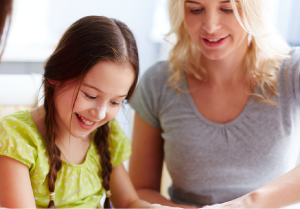 Pioneers in fortifying flour and mixes with calcium, iron, B vitamin and folic acid. We were the first to develop mixes to make French bread and value added goods, such as Vienna, sandwich and bran bread, as well as pastry and other products, with more than 10 years of leadership in the market. Permanent Innovation and Quality allow us to process TODAY 28.5 percent of the total milling capacity of the country, turning us into one of the most important companies in the region and the largest wheat flour producer in Argentina. 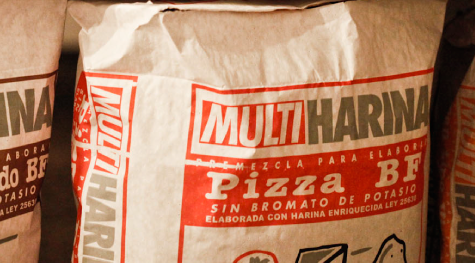 We were the first mill in Argentina to develop industrial mixes for the production of French bread and other value added products, such as pizzas and croissants. Always attentive to customer needs, we have technicians ready to give solutions and immediate advice, maximizing the quality of finished products prepared with our flour. 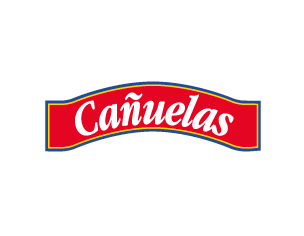 This industrial wheat flour division was added to the Cañuelas group in September 2016, after purchasing the business and 7 flour mills to Cargill SACI. 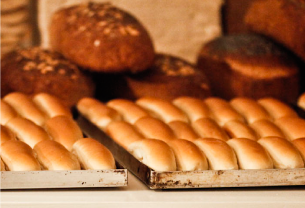 With a sales force distributed in all the national territory and export markets, Trigaglia allowed us expanding the customers’ network, including industrial producers and bakeries. Since its creation the plant has steadily grown, becoming one of the leaders in the wheat flour production in the domestic and export markets. It has a plant for the production of mixes, bagging in 1 and 5 kilogram packages, and a high-level lab to analyze everything from the raw material to the finished product. We have recently inaugurated a new plant in Córdoba. In Brazil we produce and sell 25 and 50-kilogram bags of mixes and wheat flour, serving the main industrial market of the country. We have launched consumer goods such as fortified ultra-refined flour, Pureza self-rising flour, potato gnocchi mix and pancake mix. Molino Cañuelas Uruguay produces several types of flour and mixes for industrial and consumer use. With more than 15 years of experience in exports, it has reached markets such as Brazil, Bolivia, Venezuela, Caribbean, Angola and USA, becoming one of the main flour exporters in Uruguay.